It's a pre-holiday sale like no other. A treasure trove of personal items once belonging to music legend Johnny Cash are going on the auction block in Beverly Hills in early December. "I've been asked by the consignors not to reveal their identity, however, I will say that they are family/friends related," said Darren Julien, president and CEO of Julien's Auctions. The auction kicks off on Dec. 5 and it will include more than 1,000 items, many once owned by the "Man in Black" and his family. The big-ticket items include the jumpsuit that Cash wore during rehearsal of his legendary performance at San Quentin State Prison in 1969; the famous photograph also from that concert that shows defiant Cash giving the middle finger to the camera; a passport from 1968; and even Cash's one time credit cards. But perhaps the most popular item will be a guitar that the musician gave his friend, Bill Miller, in 1989. 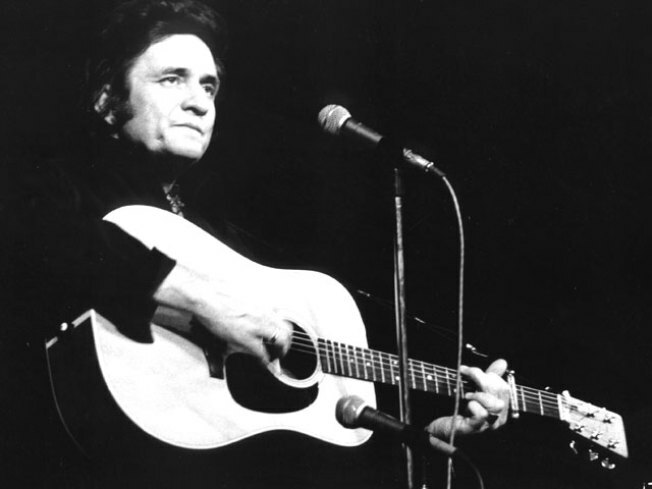 On the guitar, Cash wrote the first four lines of his hit song "I Walk The Line." "The instrument can also be seen in Cash's hands for the cover photo of 'The Survivors,' a live album recorded in Germany that featured a reunion of Johnny, Carl Perkins and Jerry Lee Lewis," said Julien. A portion of the proceeds will be donated to the MusiCares charity, which helps musicians with health or financial problems.